There is a lot going on in this puzzle and trying to work out what might be happening or about to happen is a fun game. This puzzle is a challenge as many of the patterns and colours are similar. Working out which tree a piece belongs to will keep your little one busy. 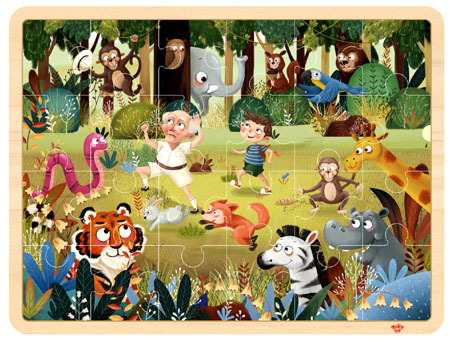 We like this because: "Happy fun puzzle with a great sense of humour. "